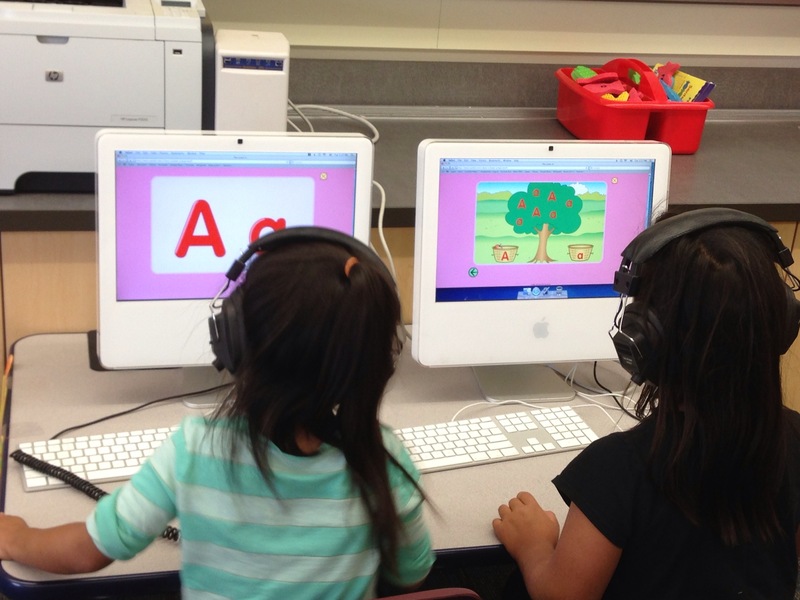 One part of my reading block through the past 4 years has been that of literacy workshop. 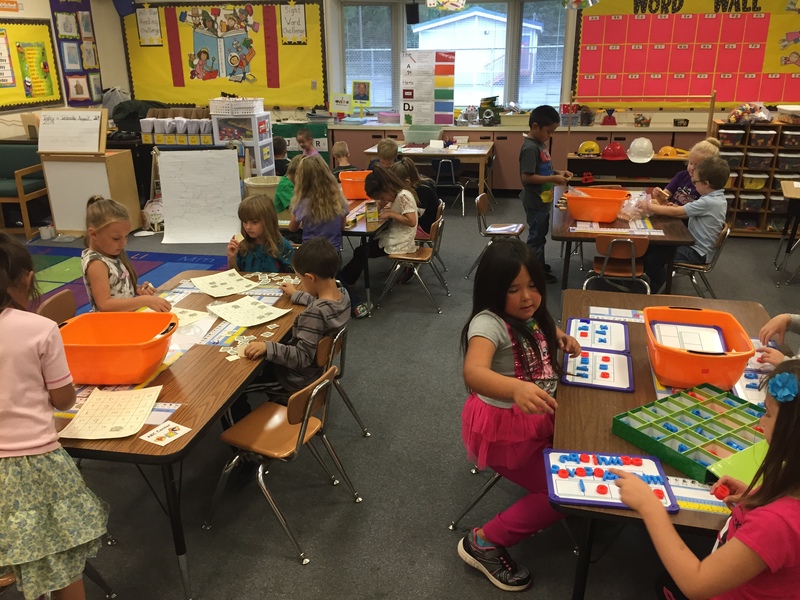 It is a block of time for my students to work together in small groups to work on important literacy skills, work on social skills, and problem solving. 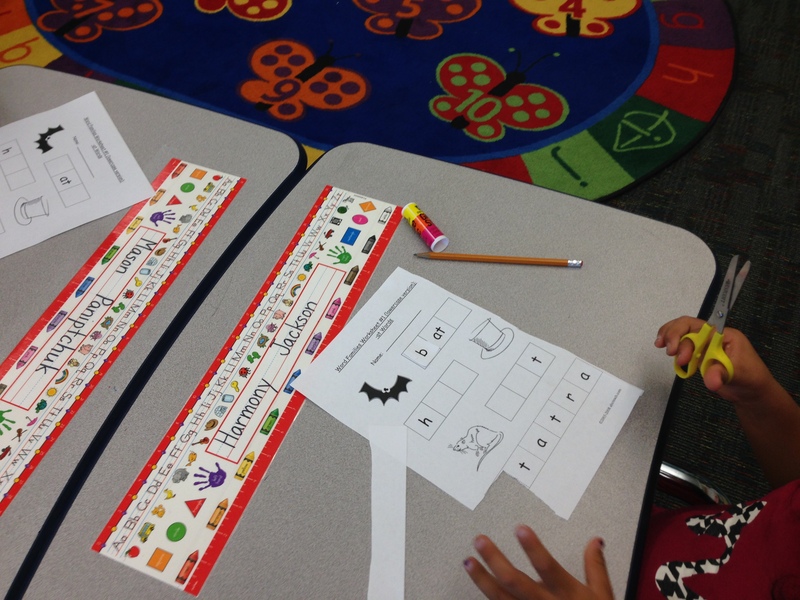 This time allows for me to work closely with students that needs help on deficient skills and work with my students on guided reading. 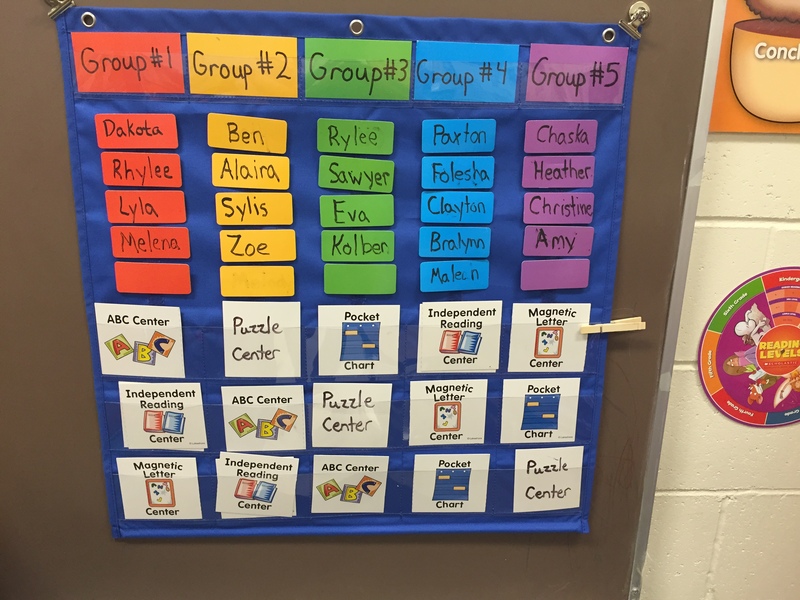 Students are given a group and they follow a schedule that shows what center they are on. 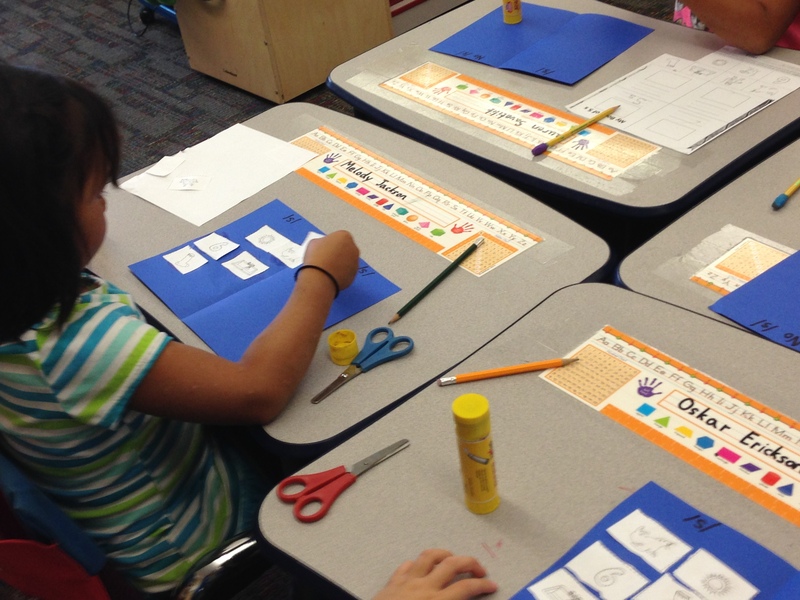 Each center has a card that matches the schedule. 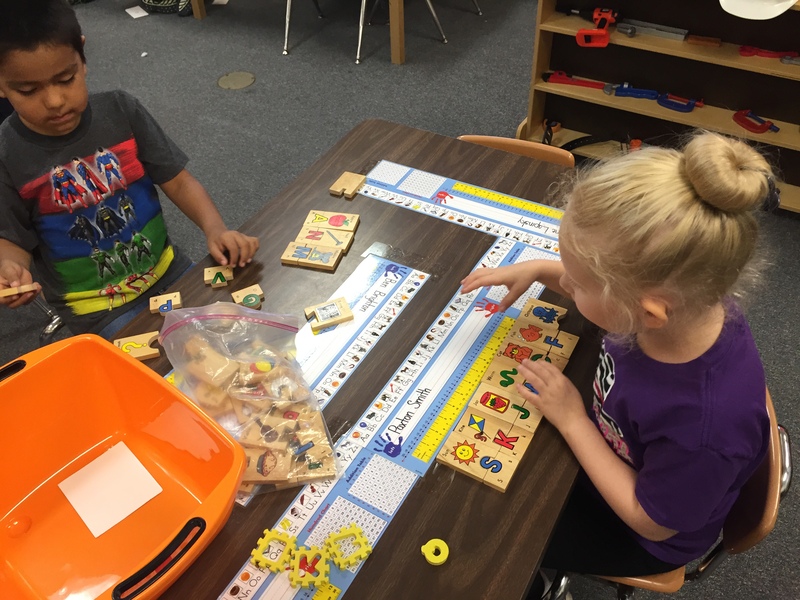 The students find the center based on the schedule and the clothespin shows the student what part of the schedule they are on. 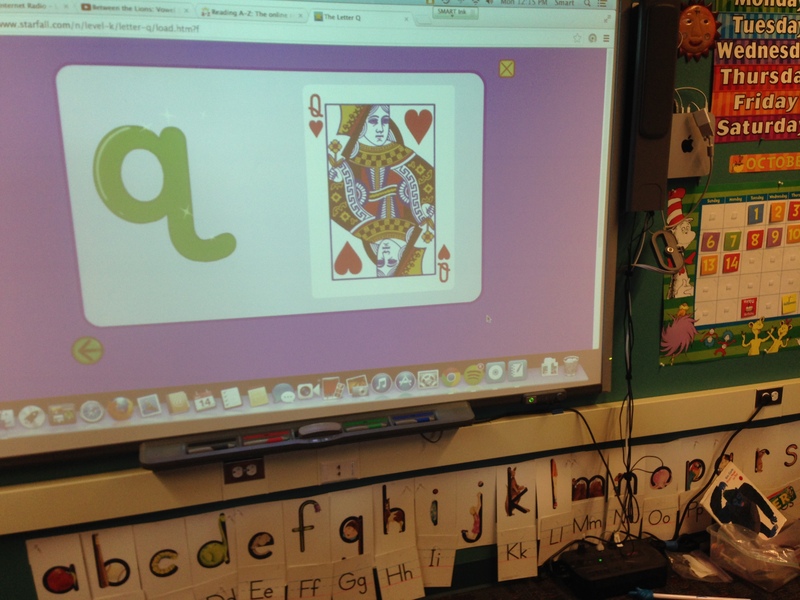 When the timer goes off students find the center that has the card that matches the next card. 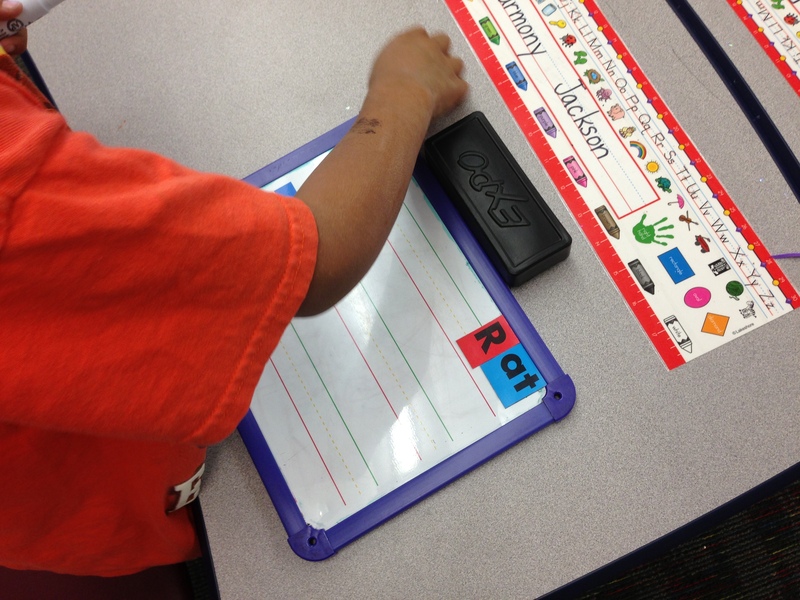 For the first few weeks of school our focus will be on letter recognition. 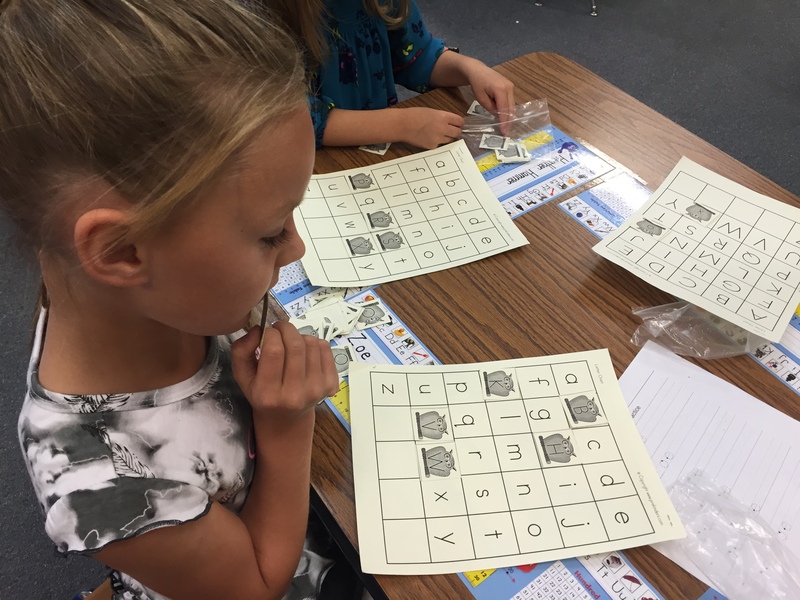 Students will work on matching letters at the pocket chart, playing with magnetic letters (building words if possible), putting together letter puzzles, and finally coloring a back to school book. 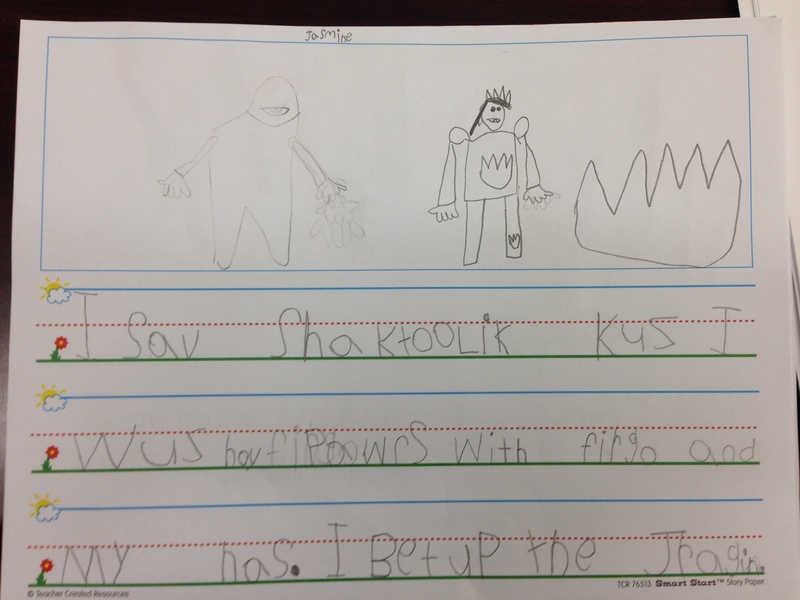 We are becoming stronger and stronger independent readers in Daniel’s K-1 All-Stars. 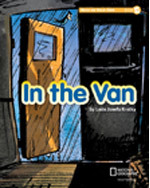 Today we read another book from our Read On Your Own series of books called In the Van. 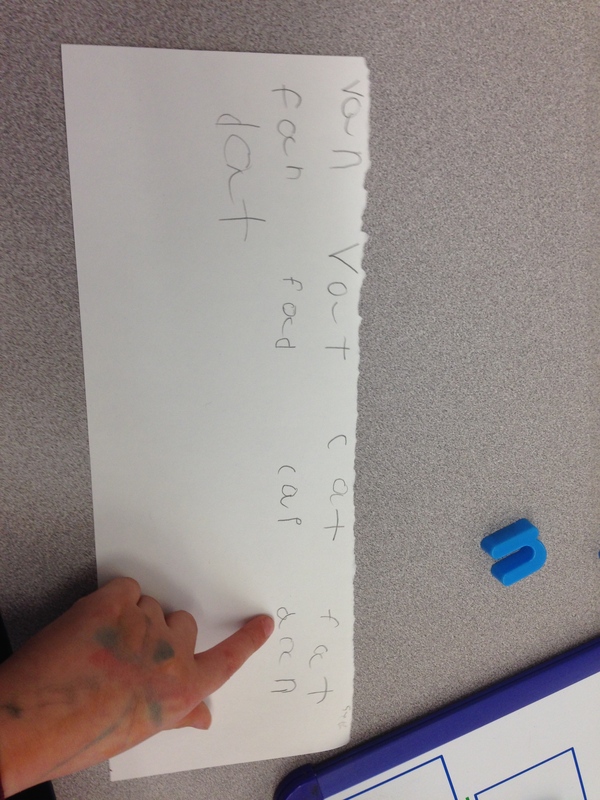 In this story the text is easy for emergent readers to decode. 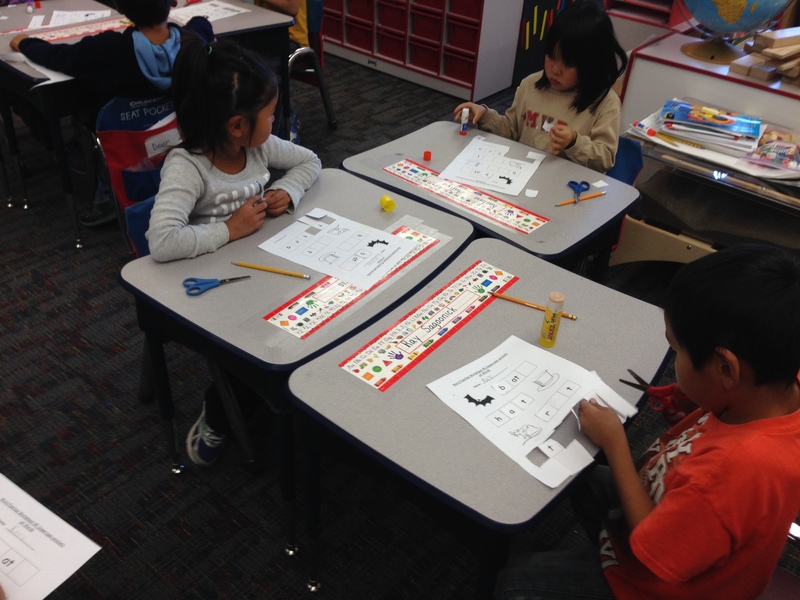 Students learned about how to find the problem and solution and used both the text and inferencing from the pictures. 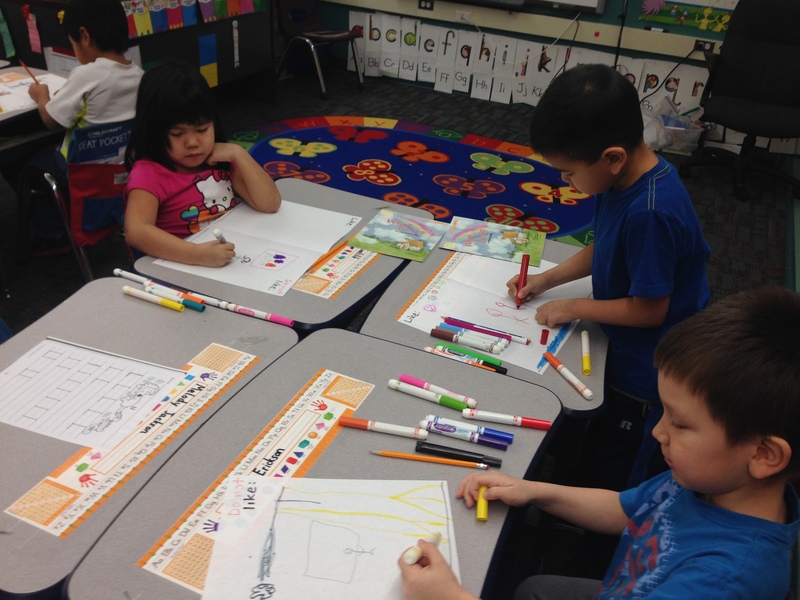 We filled out a story map labeling the characters, problem, solution, and setting of the story. 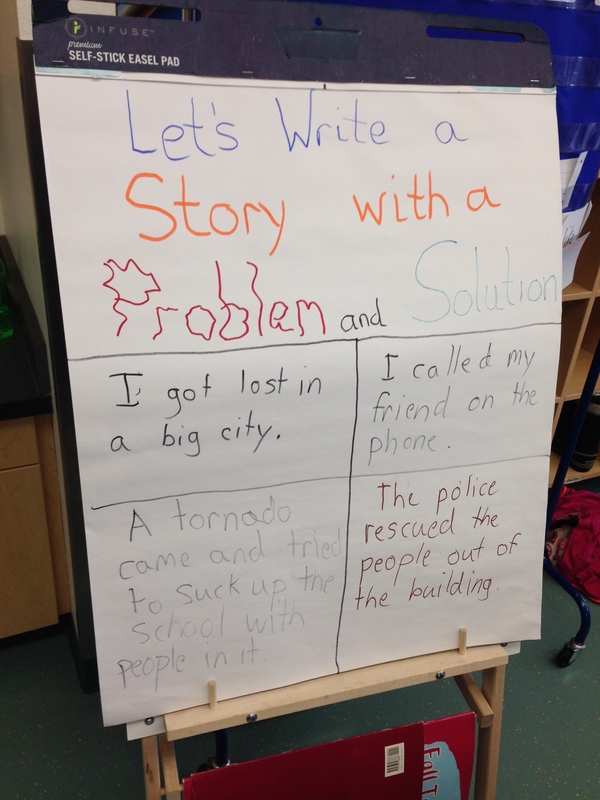 Then as a class we brainstormed a few ideas for writing our own stories with a problem and solution. 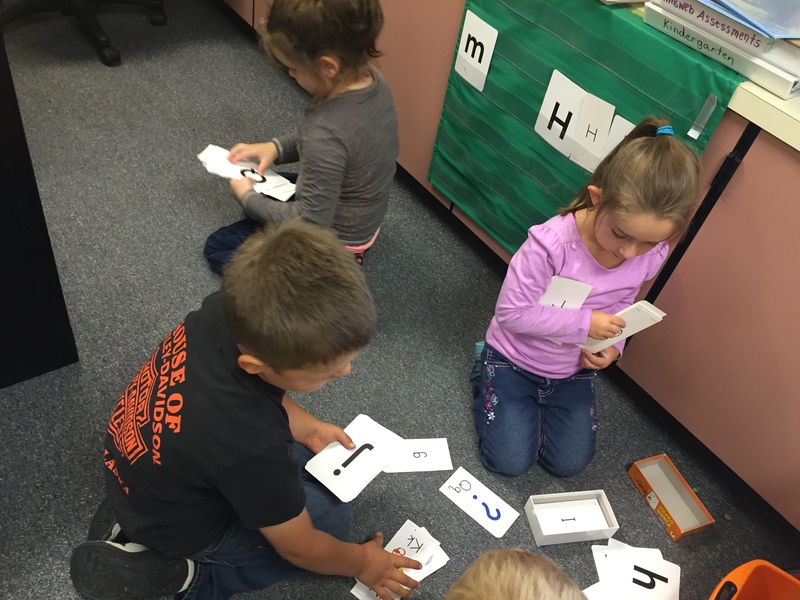 For phonics we have been working on learning words that begin with the letter v. All students were provided with magnetic letters ‘v’, ‘a’, and ‘n’. 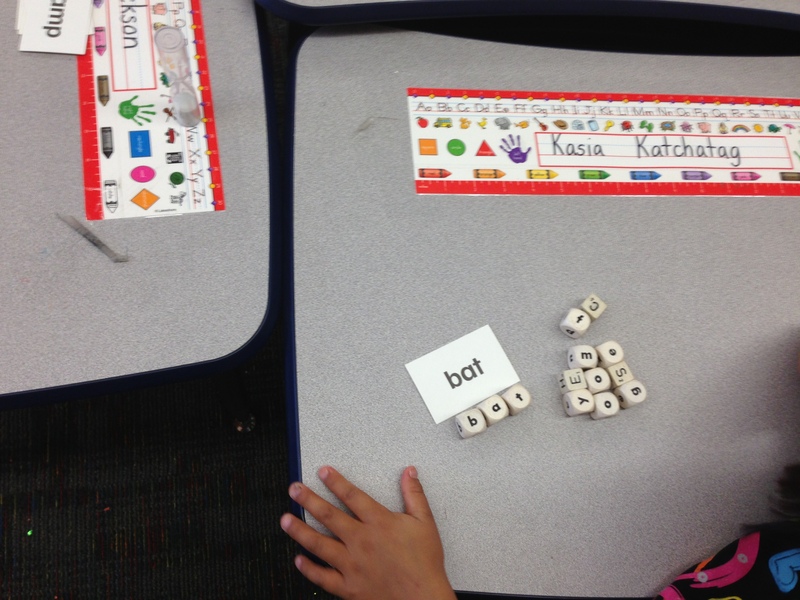 They were encouraged to figure if they could make a word with those letters. 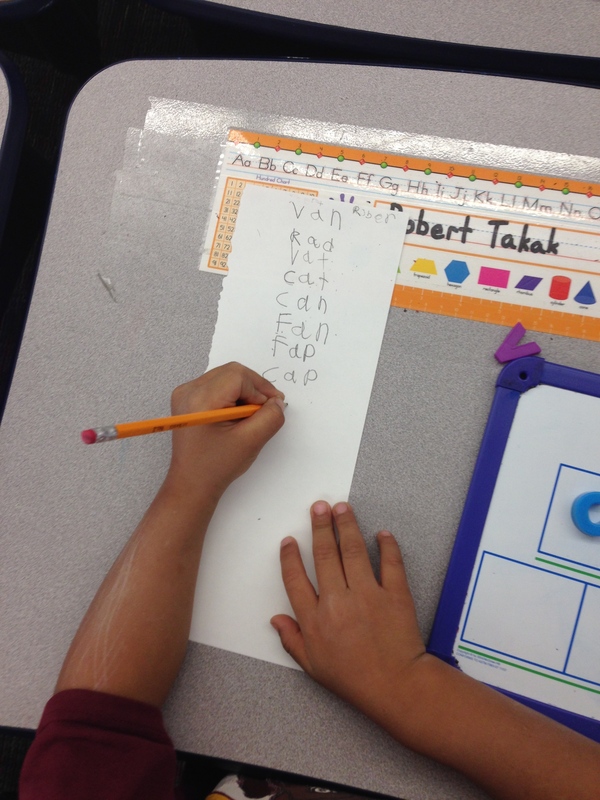 Once everyone created the word van they were also provided with the letters f, p, t, c. Students made words using those letters and wrote them down in a list. 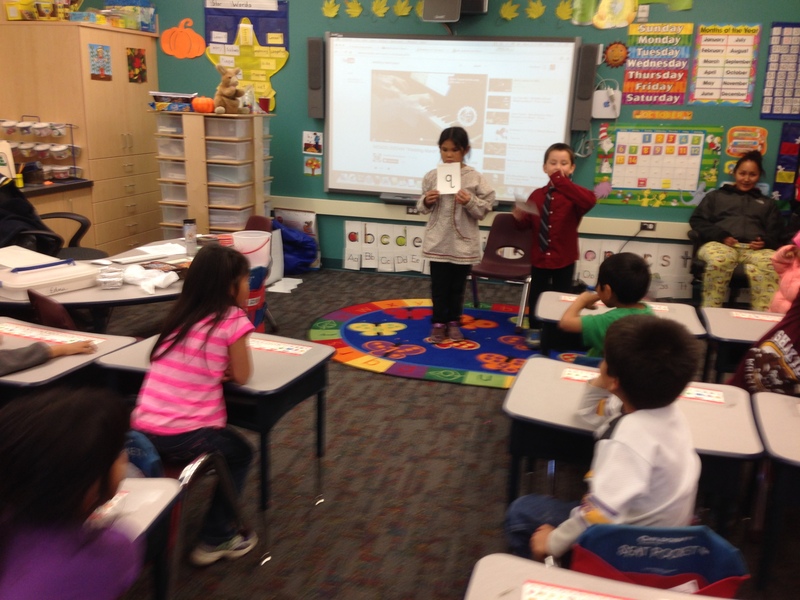 In our reading program we’ve been learning about the weather and seasons. 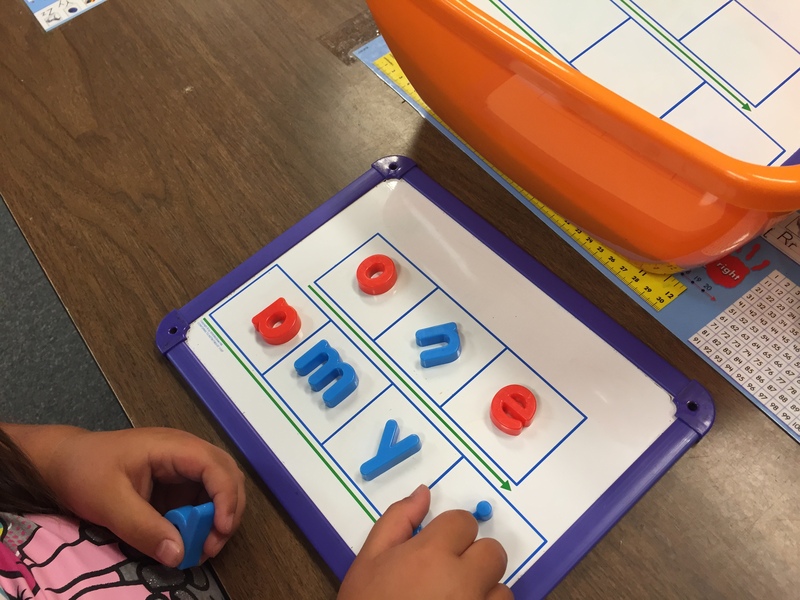 As we work towards becoming independent readers we’ve begun to read decodable books that focus on the skills we’ve been learning during our phonics time. 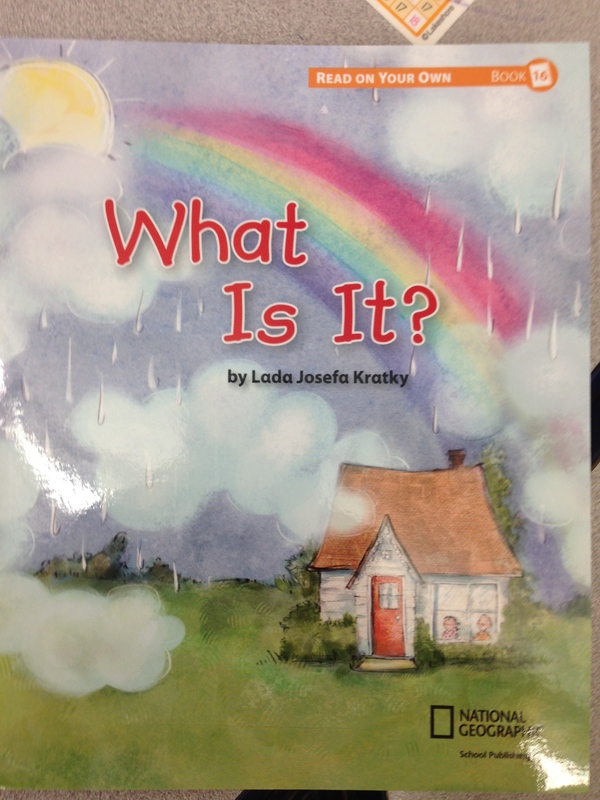 Our book this week focused on different types of weather found in spring called “What Is It?”. 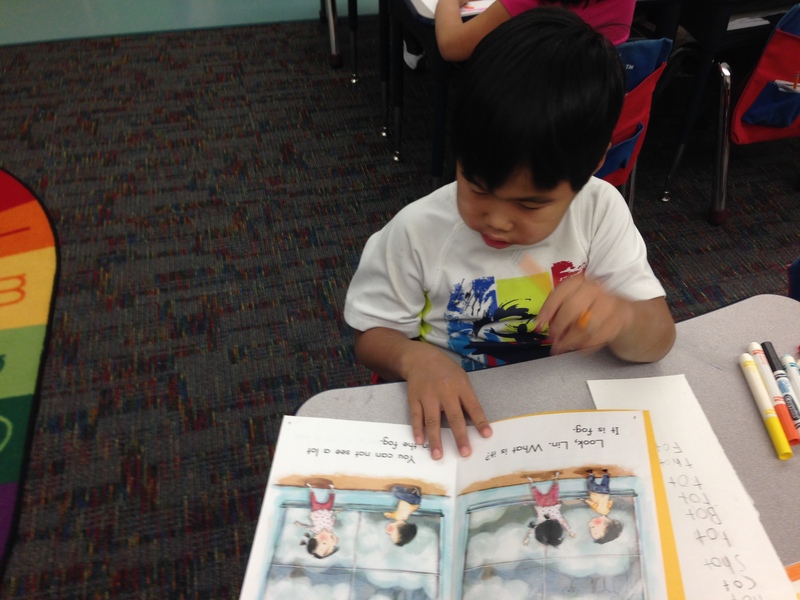 Our students first spent time practicing the book during the “read to others” portion of the day, and then got the option to practice independently reading the story. 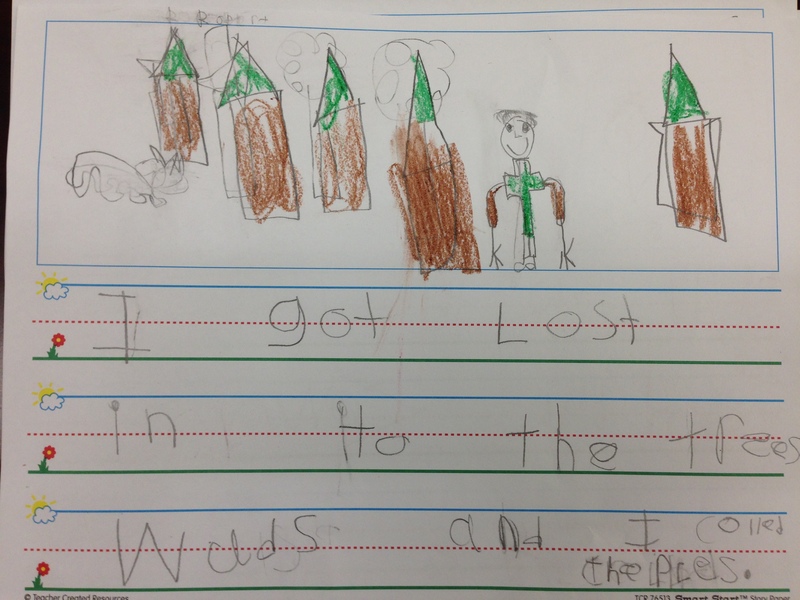 We then discussed the story and the main character, Lin. 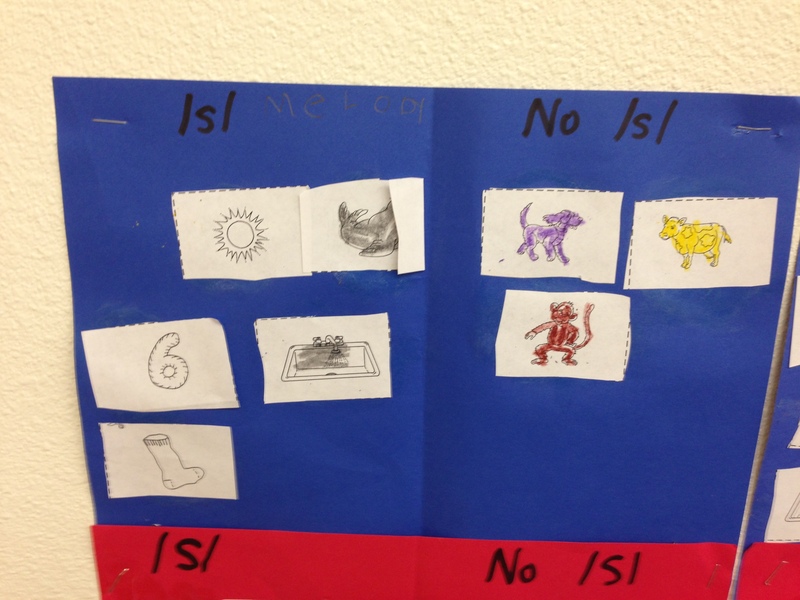 Students discussed what type of weather Lin liked, and what weather Lin didn’t like. 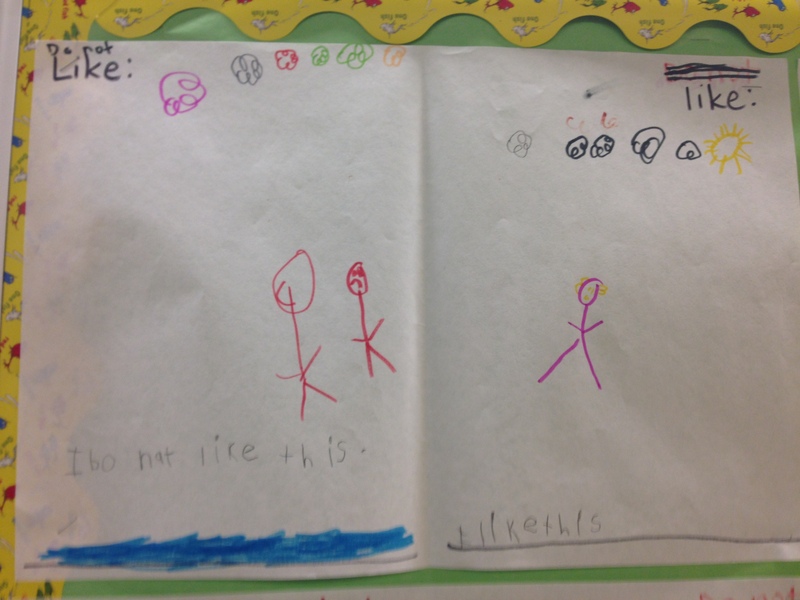 They used their inferencing skills to use the pictures to help them come to their conclusions. 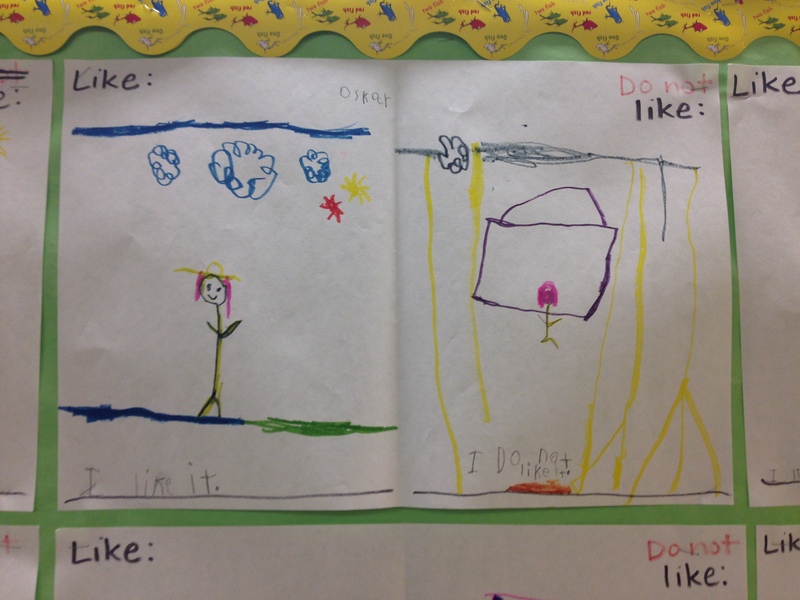 Then students illustrated their findings showing which weather Lin liked and did not like. 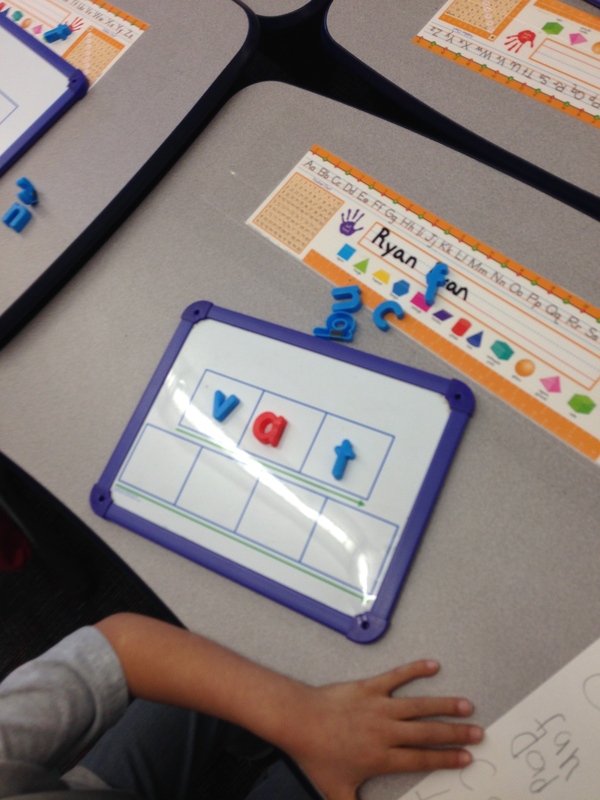 We’ve been learning the letter S and the /s/ sound. 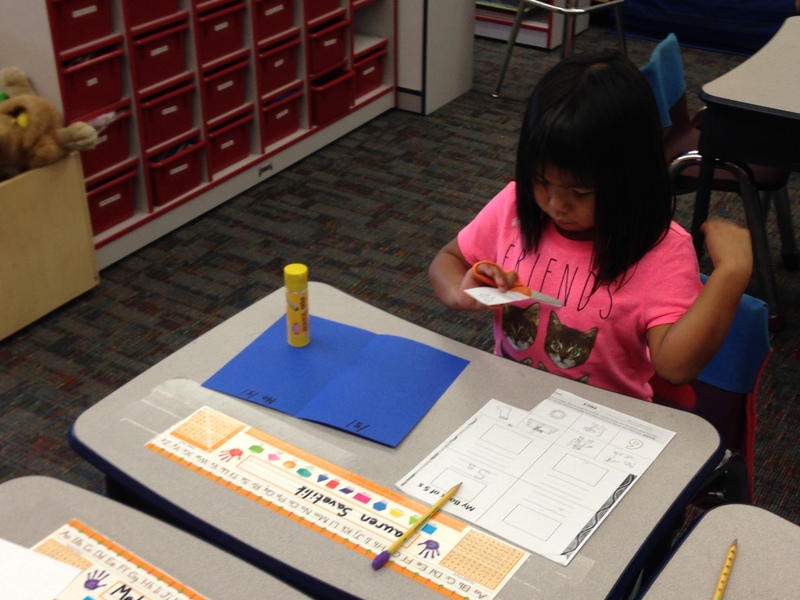 One of our centers available for literacy workshop today was a cutting and gluing activity. 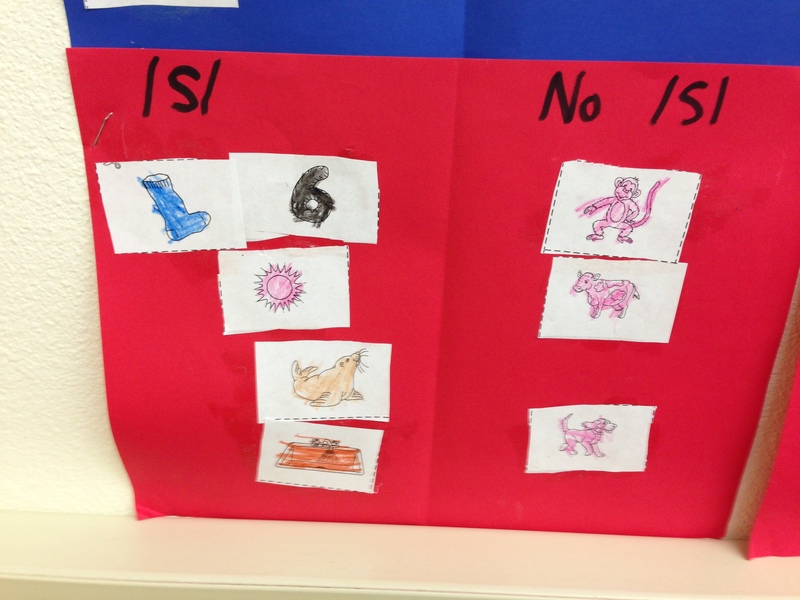 Students cut out various pictures of key words and glued them onto construction sorting them based on if the words started with the /s/ sound or not. 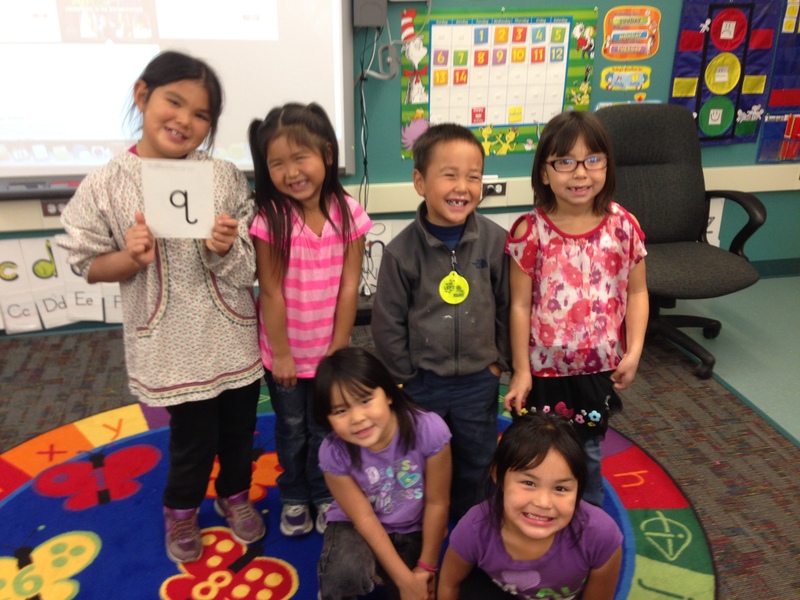 In honor of the letter Q we had a Q U wedding today. 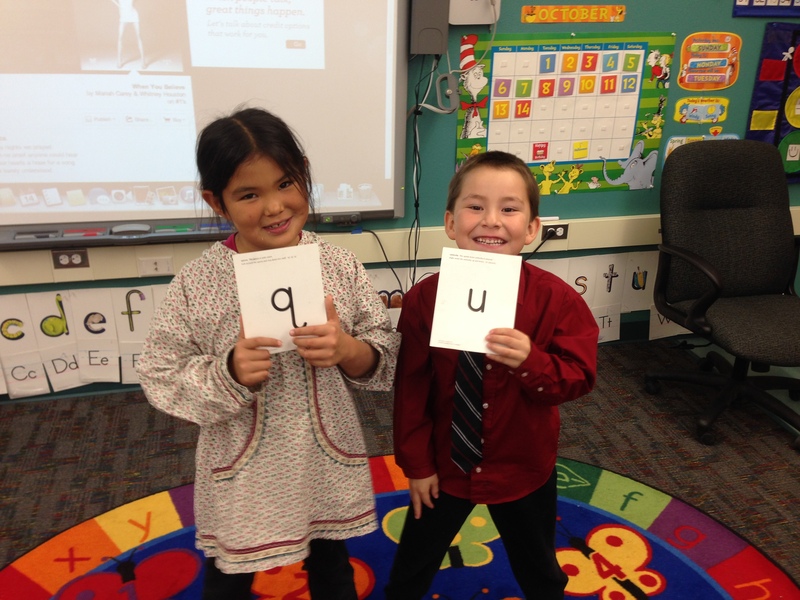 Kids were allowed to dress up and everyone participated in the ceremony. 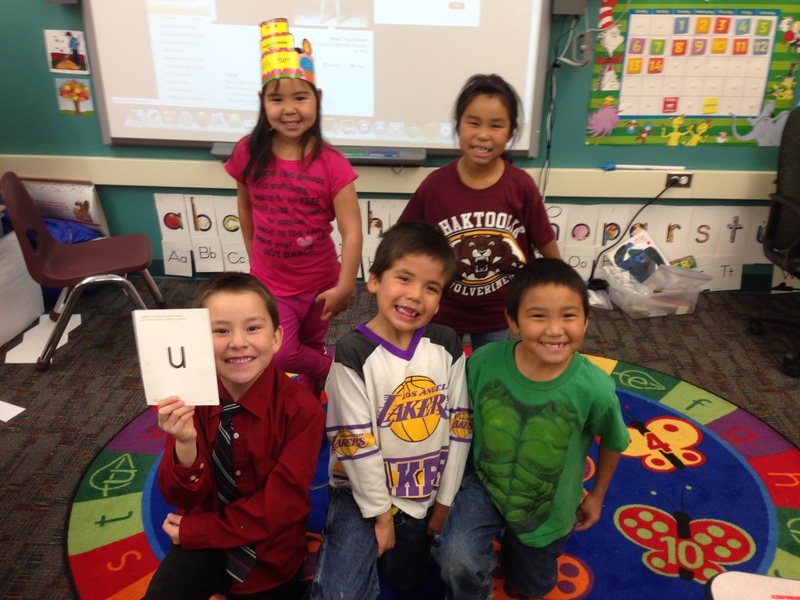 We had the bride (letter Q), the groom (letter U), and the class were separated into the two families. 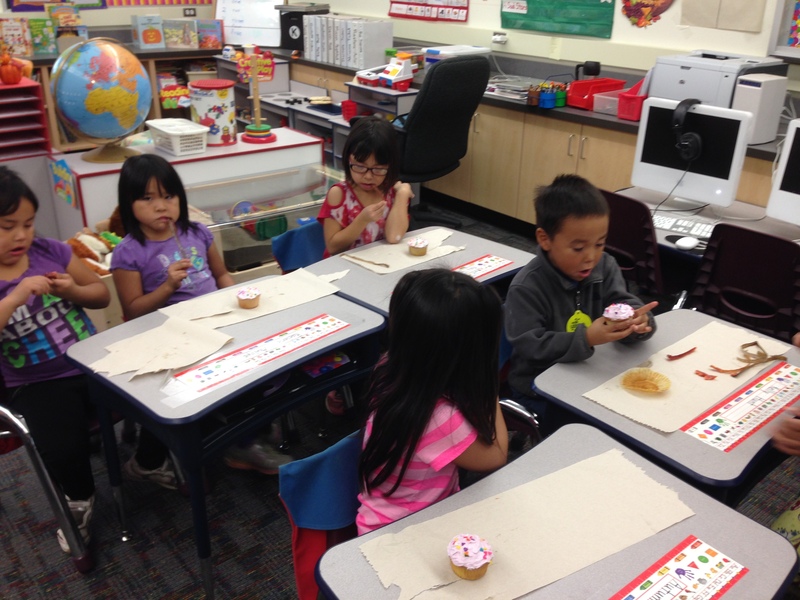 The kids had a great time and enjoyed the ceremony. 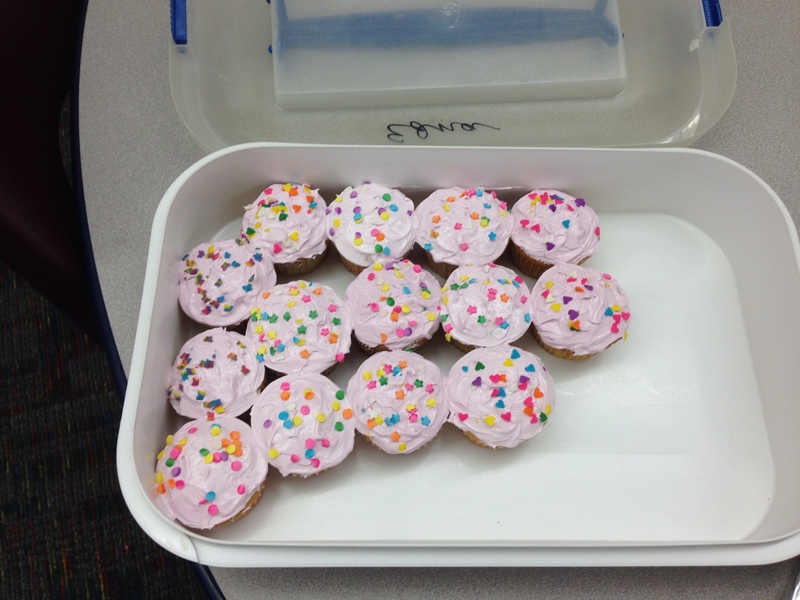 After the ceremony we had cupcakes other treats. 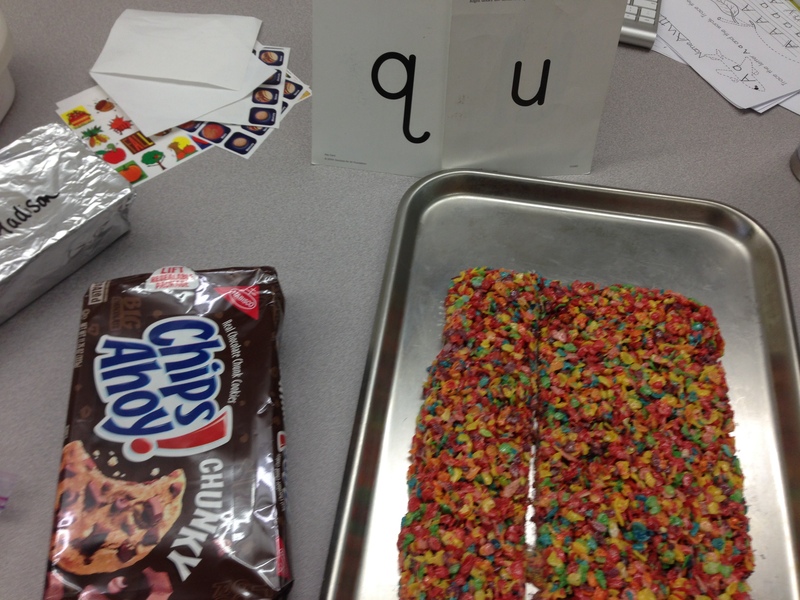 The students were asked to bring presents that start with q. 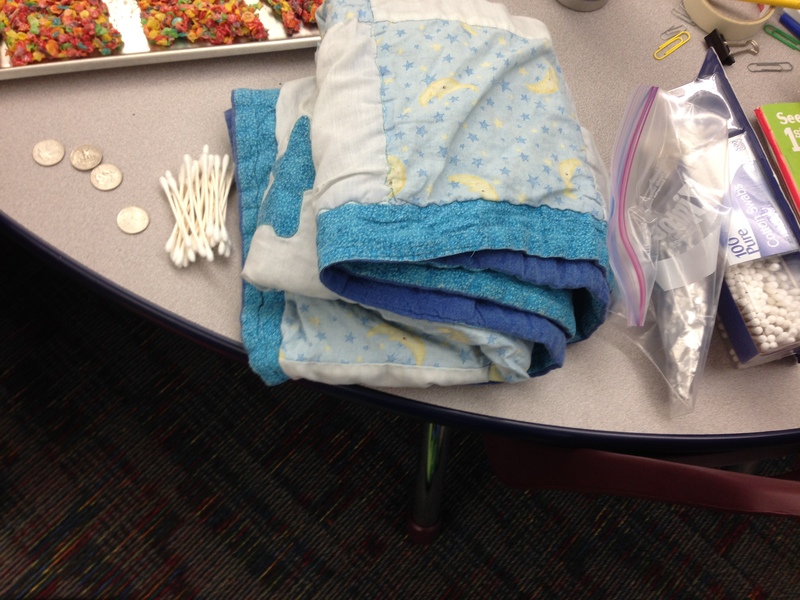 They brought things like q tips, quilts, and quarters. 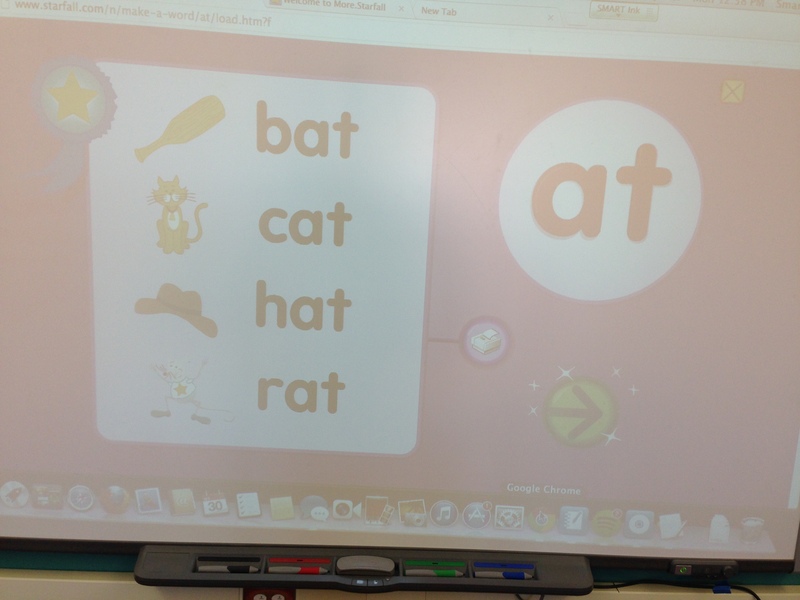 Now that our Kindergartners have a solid foundation in letter sounds (m, a ,s, t, p, i, g), we have been working on rhyming words and words that belong in the same word family. 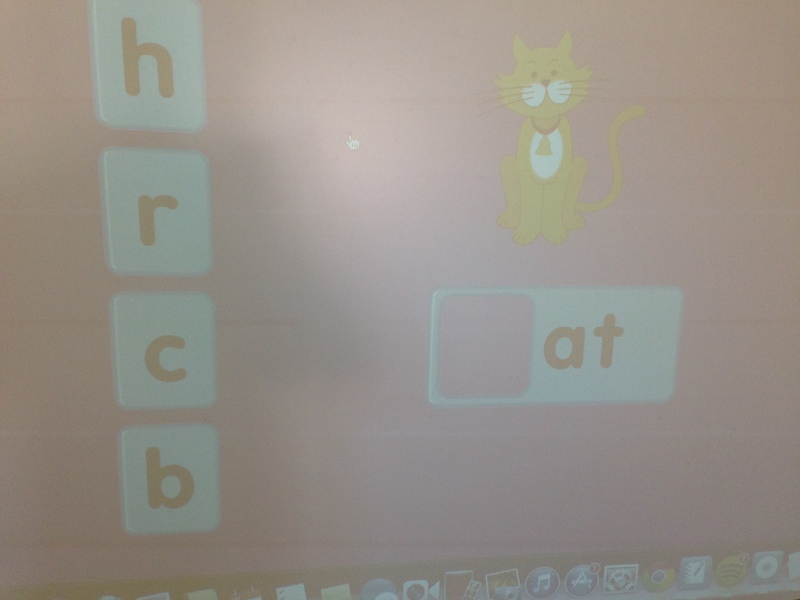 We’ve been using interactive activities from starfall.com ‘s learn to read section. 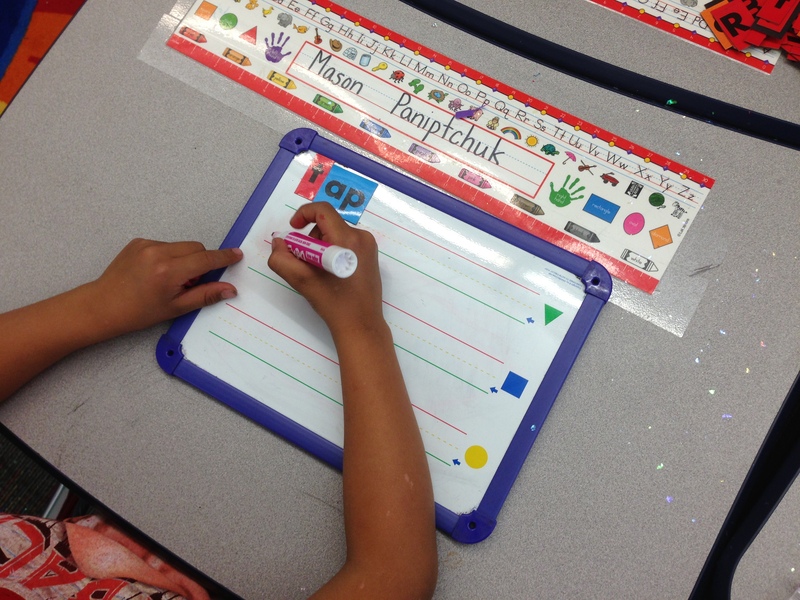 Students were provided with magnetic whiteboards and given opportunities to write any -at words that they could remember. 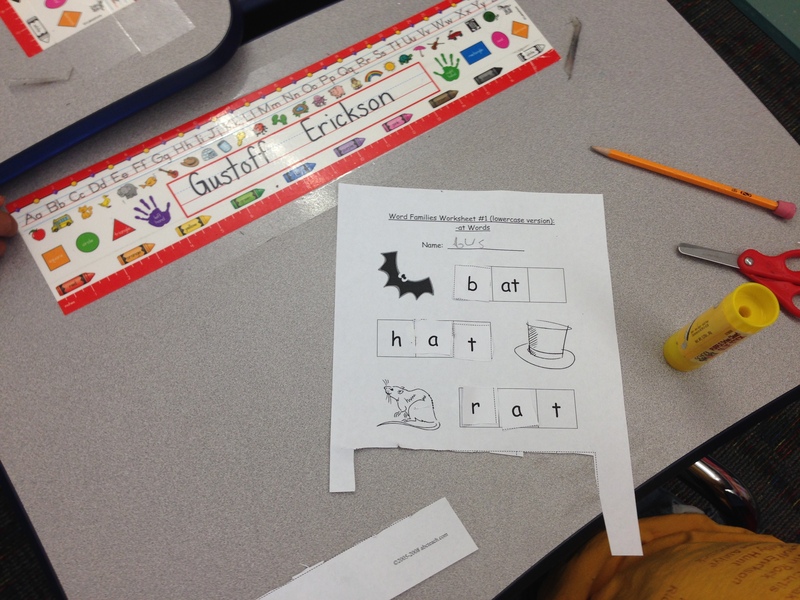 As an extension activity students cut and created -at words based on pictures that they saw. 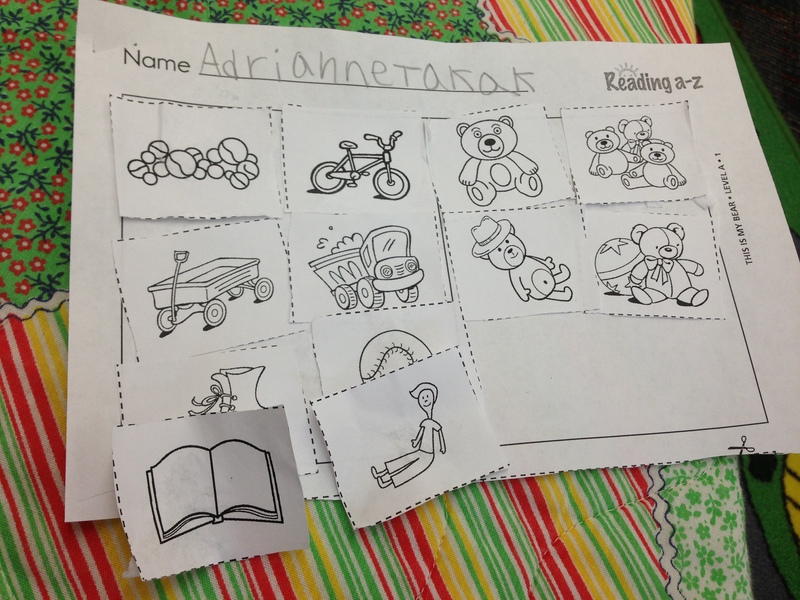 If you visit my Guided Reading Section in my curriculum page, you see a description of what reading workshop is. 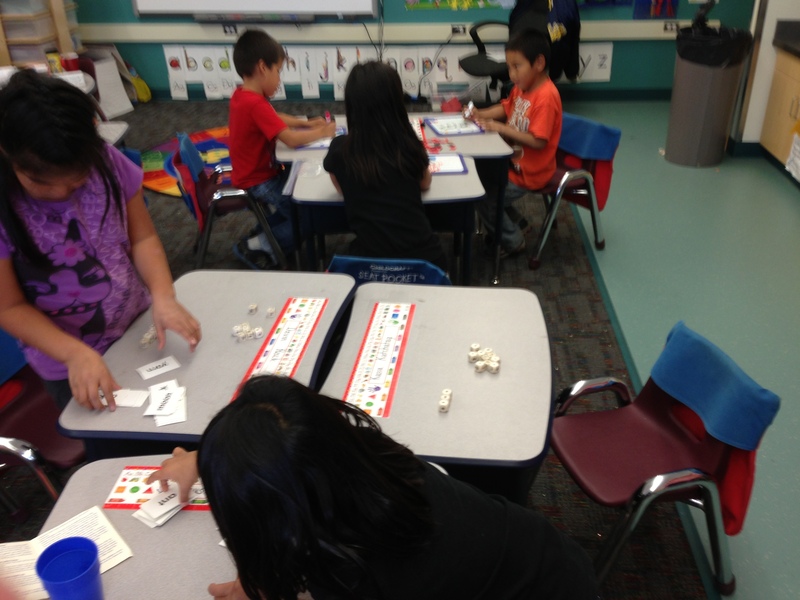 Each day students are placed in tiered groups high-medium-low and are given various centers to interact with. 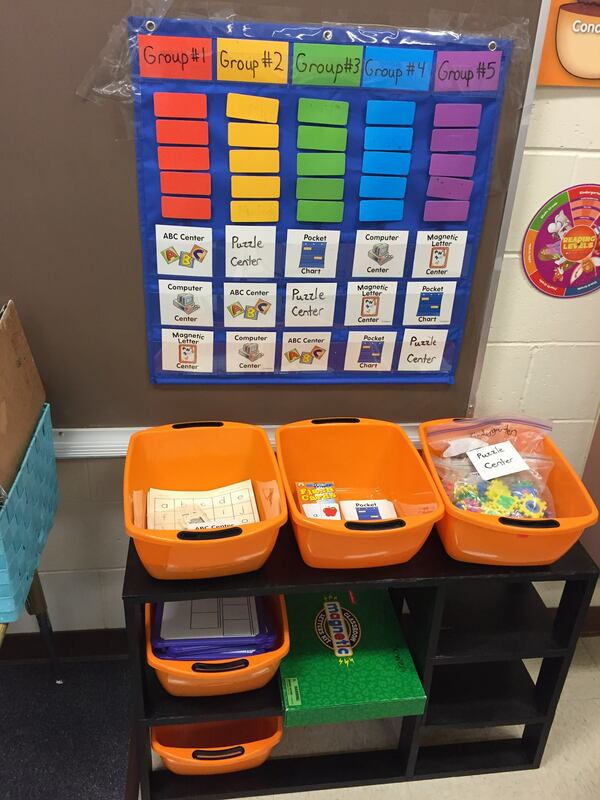 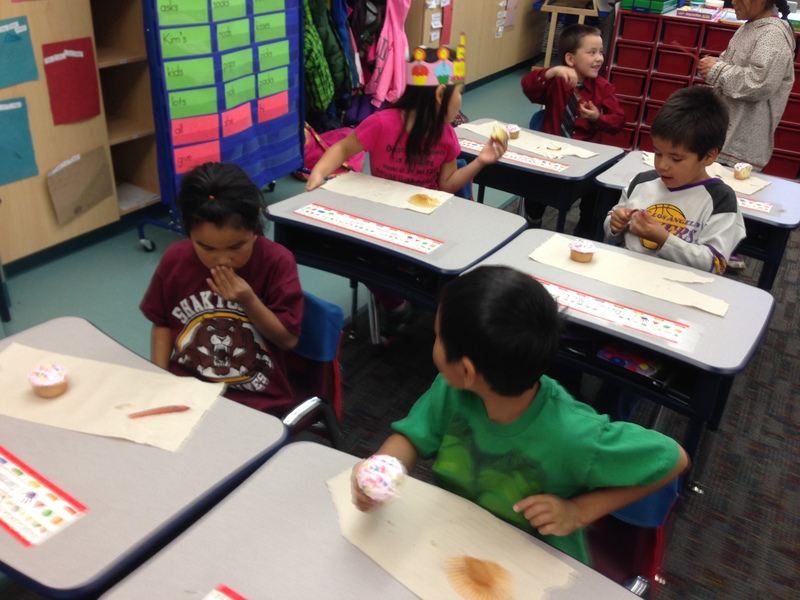 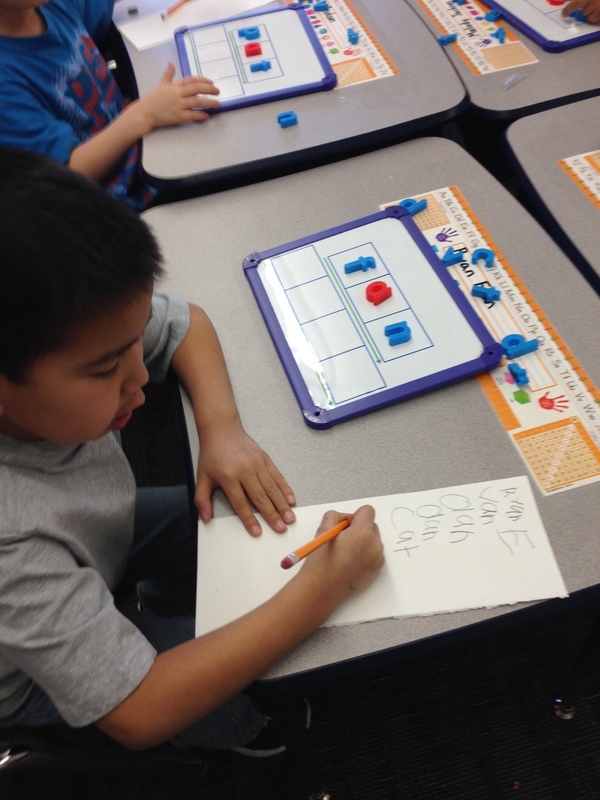 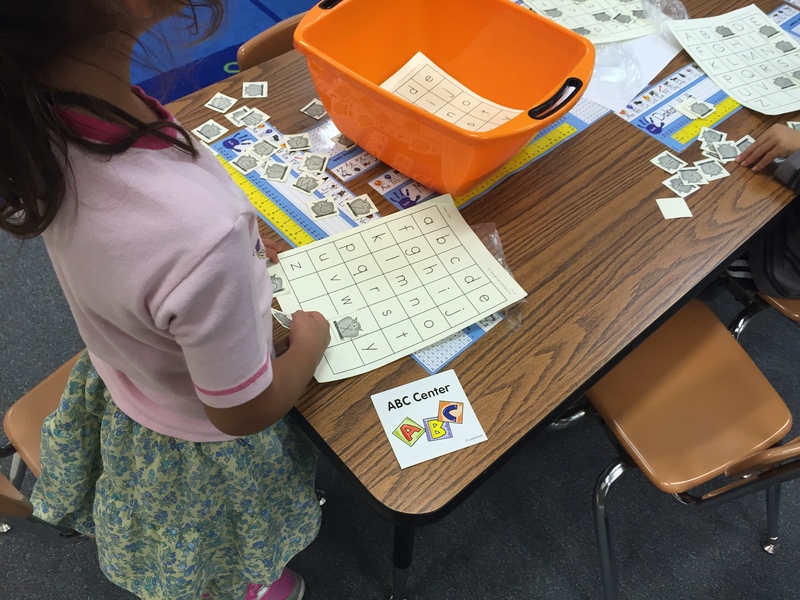 Each center reinforces previous skills taught such as word families, sight words, phonics, and the like. 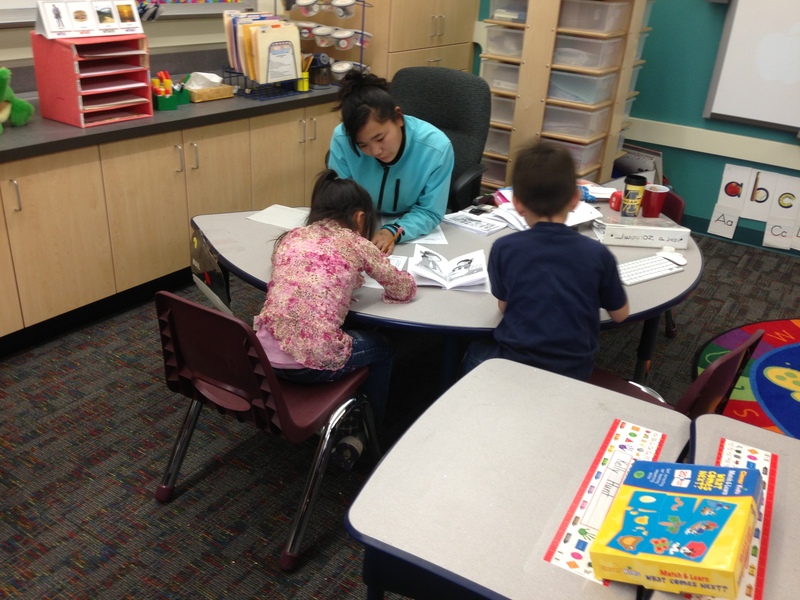 Then myself or my teacher assistant will call over students to read books based on the reading level they are at. 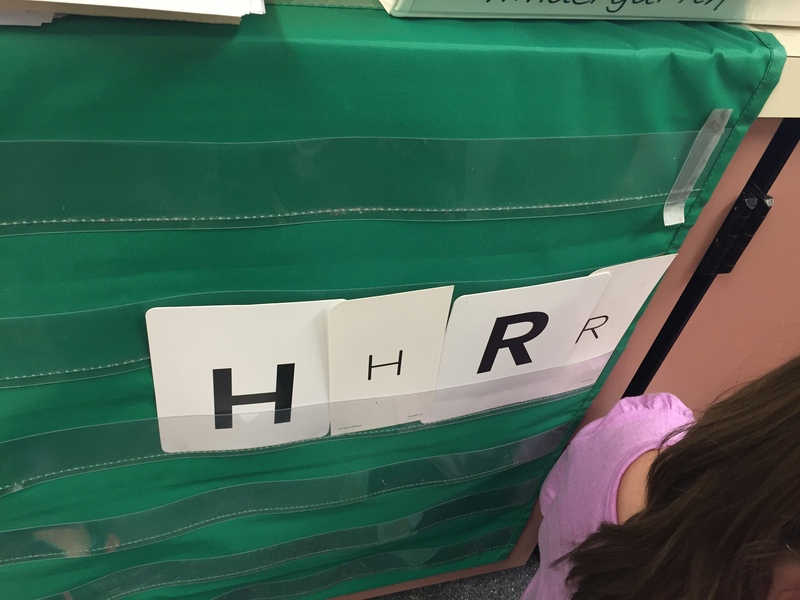 Each book selected is related to the theme that we are at in our class. 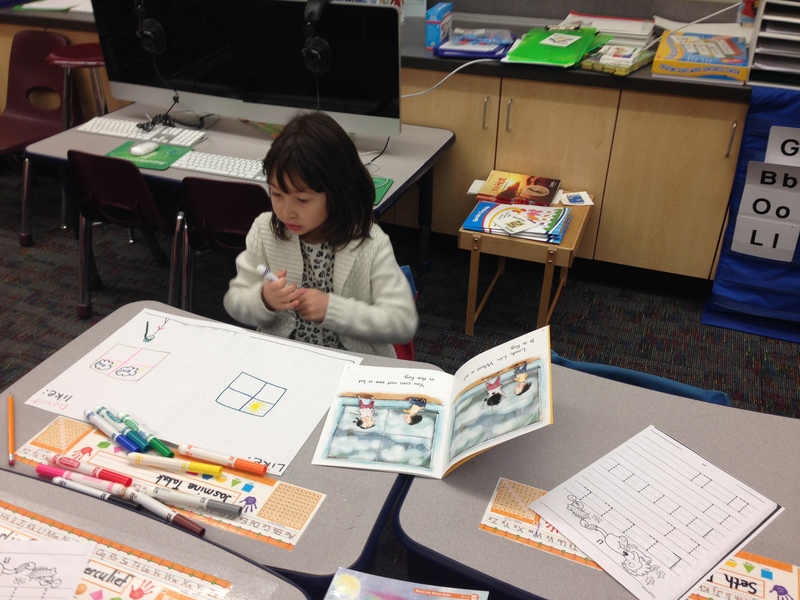 In small groups students read their books and are given comprehension activities that go along with the book. 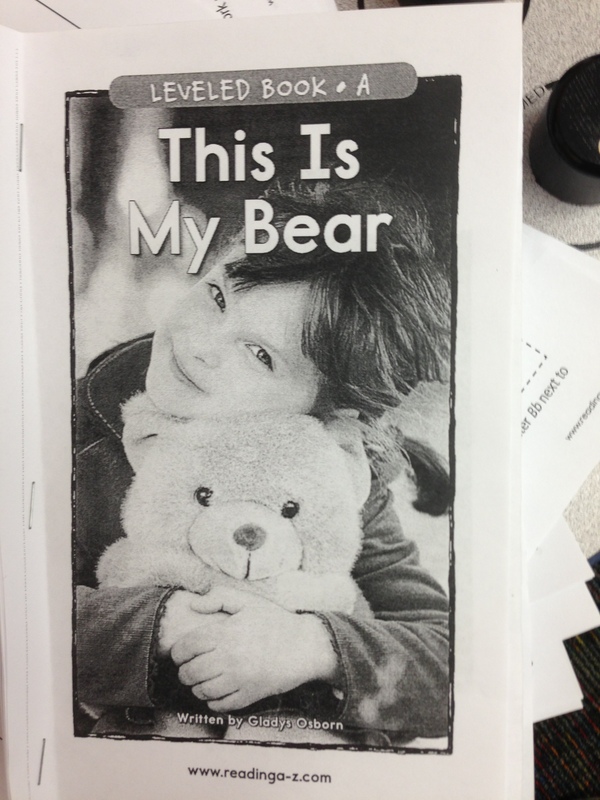 One of our reading groups read “This Is My Bear”, and then they classified and sorted pictures that they saw. 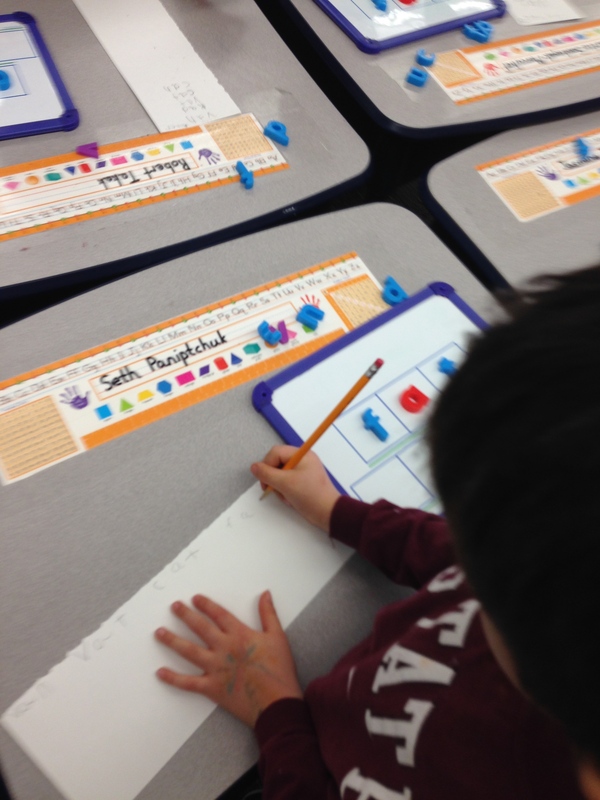 The students are guided to recognize the pictures can be sorted by pictures of Teddy Bears and pictures that are not Teddy Bears.